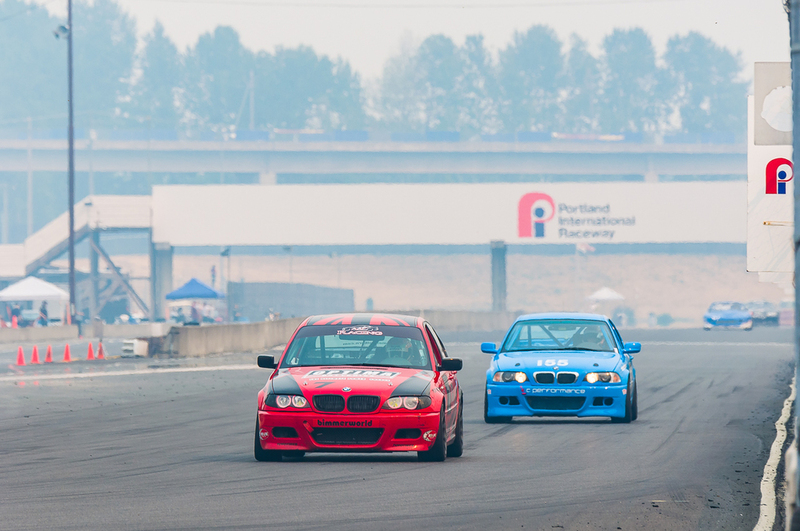 Portland International Raceway – August 23rd 2015. 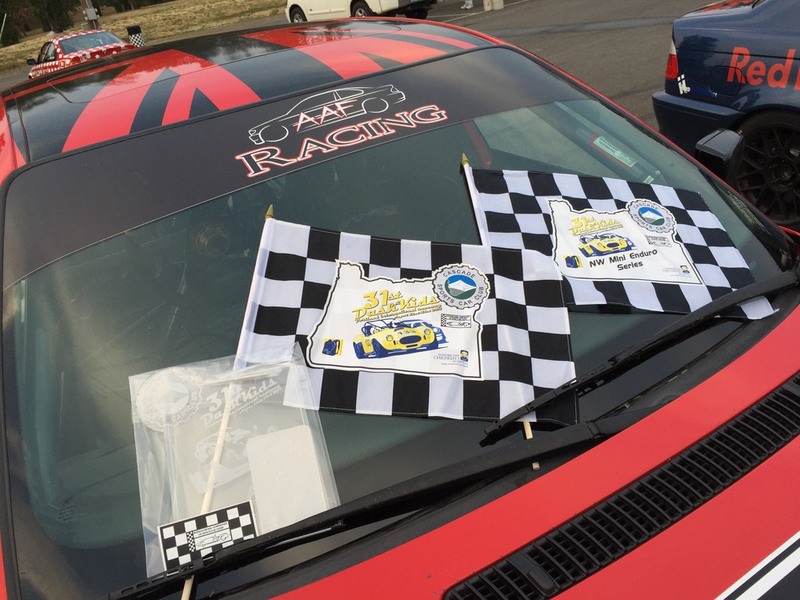 Round 10 of the ICSCC race weekend was the ninth SE46 race for me in 2015 and one that I went in feeling pretty good. 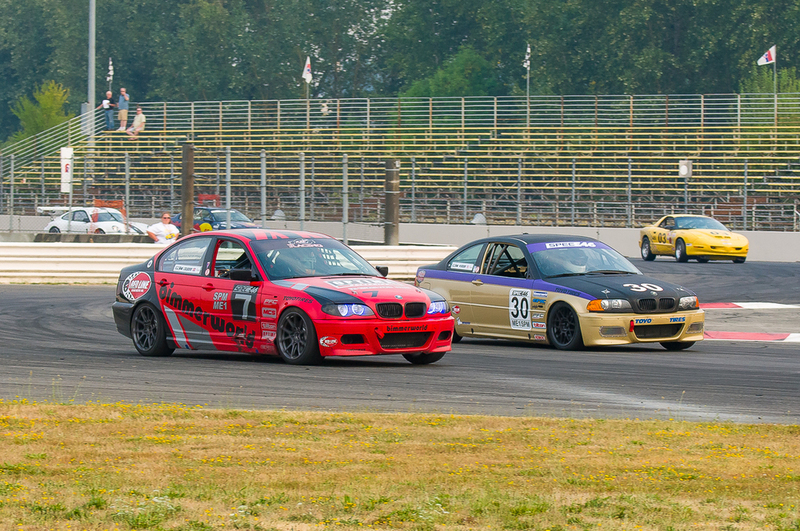 We’d raced at PIR in June and I had looked good for a possible win back then, however, a failure in the power steering system (leading to a subsequent failure in the cooling system) ended my race after just two laps. This weekend was, in some way, a chance at redemption for that missed opportunity. I opted to use the tires that Seth and I had used on the Sunday the race previously at Pacific Raceways. 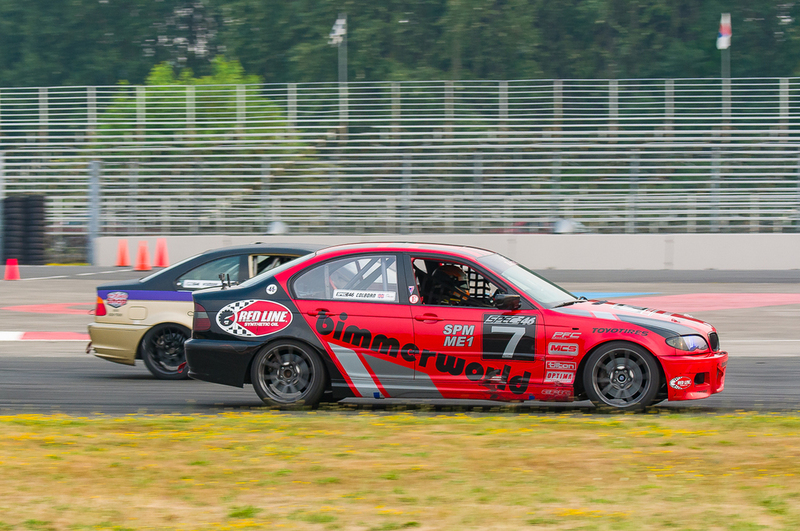 I had a suspicion, one that I believe more so than ever after the weekend, that used tires are faster at Portland International Raceway where the surface is flat and smooth. In the first practice I got up to pace pretty quickly but so did Chuck Hurley (six time race winner this year) and John Wymore (two time race winner, both at PIR). I was third fastest but at this point I realized that we were all within a tenth or two of each other. 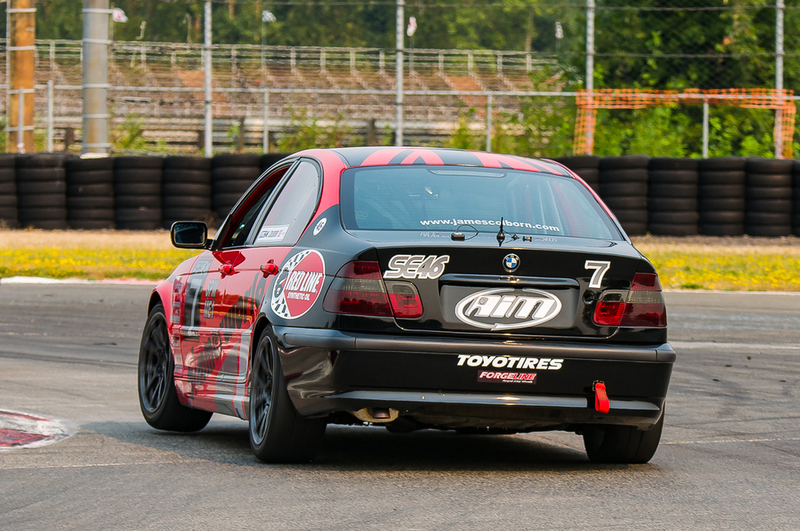 This was even more apparent in the first (provisional) qualifying where John and I were separated by a one one-thousandth and Chuck had two tenths on us both. The first race of the weekend was on Saturday evening and it was the one hour enduro. 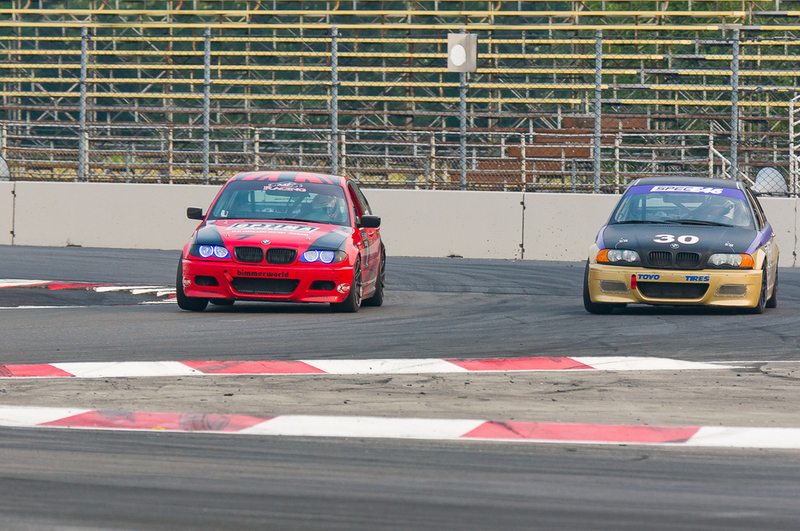 Chuck and I both opted to do the race solo (vs. racing with a co-driver) and things started out as expected in the race. Chuck had pole and I was close behind him and after the first twenty five minutes Chuck had around ten car lengths on me. When he pitted I radioed in and said I had clear track and I was going for some fast laps. Chuck came out behind me and when Sam Moore (co-owner of Advanced Auto Fabrication) called me in she had spotted that there was yellow flag conditions and slow traffic ahead of me. I stormed into the pits (using every bit of my brakes) and a flawless stop put me out about ten car lengths ahead of Chuck. A great battle for the lead ensued with the laps ticking away. Battle with Chuck Hurley #95 in the one hour enduro. Chuck made a last minute attempt to pass on the second to last lap hitting the side of my car but it wasn’t that serious and I kept the position to take win number one of the weekend. I was elated and it filled me with confidence for the race on Sunday. Chuck gets his brake point slightly wrong! Sunday morning qualifying turned into Sunday afternoon qualifying after a timing and scoring malfunction put us back a few hours. The sun was baking the track surface and I didn’t think we’d be going much faster. Turns out that wasn’t the case with John taking pole with a half second lap faster than Saturday. Chuck was a tenth behind him and I was a tenth behind Chuck (or two tenths behind John). This was going to be a close battle. The race start was great for John, not so bad for me and terrible for Chuck. As the green flag fell, the column on the left hand side stood still while the right took off. I got a pretty sizable lap against Chuck, however, after the race normalized and the faster cars took their positions, John had a huge lead over me. I knew it was going to be hard work but I also knew I could take this win. In the hot afternoon sun I laid down six or seven qualifying laps to get within striking distance of John. Then we started to come up on lapped traffic and this favoured me more than John and I managed to get on his back bumper. We then had a fantastic ten minute battle with me taking the position after a series of attempts with a couple of laps to spare. When the checkered flag fell I was in first place and the victory was mine. My first SE46 win in a sprint format and something that we’ve been working toward with the development of the car for the past few races. Passing #30 for P1 in the SE46 sprint race. This was an example of the great team work and professionalism of the Advanced Auto Fabrication team and it all came together for a double race win weekend. Big thanks to AAF, my sponsors/partners (BimmerWorld, RedLine Oil, OPTIMA Batteries and AiM Sports) for helping me get to this point. This is one race that I will remember for a long time and the reason that I’m writing this blog post entry for my website!